Below is the basic layout to a rich picture regarding car travel. 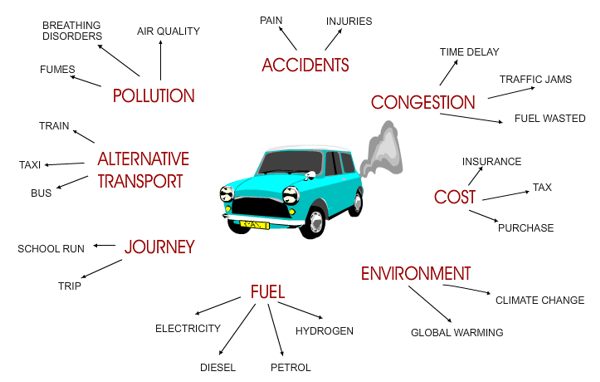 The key words are listed around the drawing of a typical family car. Place each word listed immediately below, alongside the keyword you think it is closely related to. For example, the keyword ACCIDENT has ‘pain’ and ‘injuries’ written above it. Add a number of pictures / sketches to represent some of the words included as part of the rich picture.